On Friday, I’m always in a quandary as what to make and take to my senior art group. I usually get very elaborate, but the past few weeks, I’ve had a lot of things on my “plate” and on my mind, so I’ve been doing something fast and simple. I’ve been doing this every Friday for over seven years, and I tend to run out of ideas. I didn’t want to run out to the store, so I looked in the freezer, fridge and pantry for inspiration. Aha! I had a brainstorm, or dessert-storm. I had some ice cream sandwiches in the freezer, chocolate syrup and cool whip in the fridge, and a bunch of bananas on the counter. Easy- breezy banana splits. Perfect for a warm spring day. 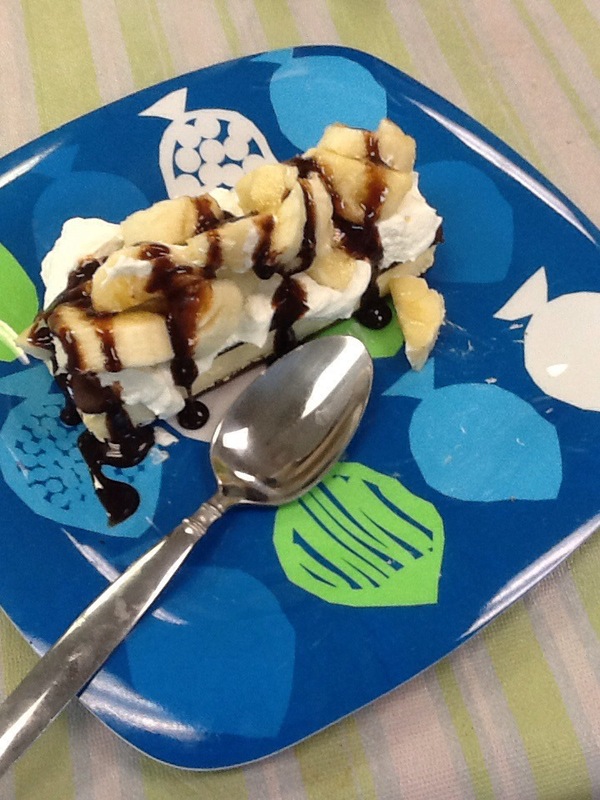 Just tear off the paper on the ice cream sandwich, plop it on a plate, a dollop of cool whip, some sliced bananas, and drizzle with chocolate syrup. Easy and beautiful and yummy. I even ate one. Thanks! 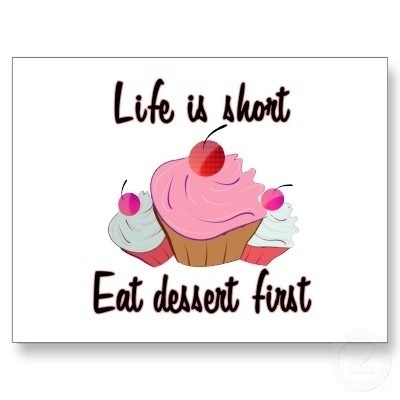 Hard to think of new and fun desserts. LOL Way to spice up an ice cream sandwich!